We understand that hours of work go into finishing a piece of artwork or capturing that perfect photo. Our giclée printing service allows you to reproduce your original work in amazing quality. Giclée prints are perfect for artists, photographers, illustrators and designers looking to match the quality of their original artwork or photos in print. We use a 10-colour Epson wide format printer with giclée technology to achieve exceptional image quality with enormously detailed sharpness, maximum black values and a very broad colour space. 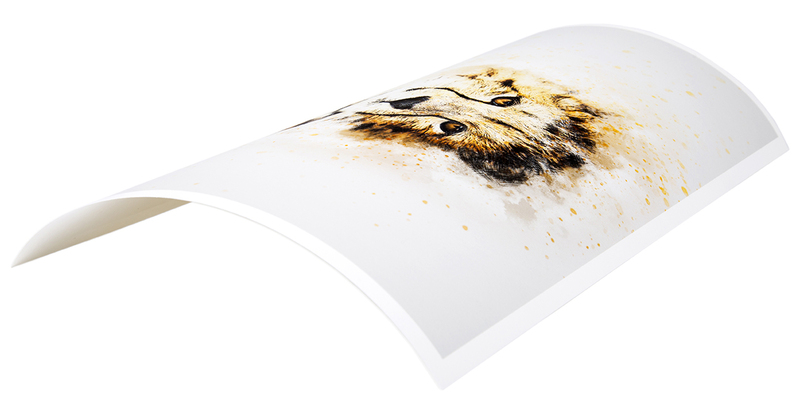 We have carefully selected these high quality paper options to print your giclée prints onto. If you have a piece of art or photography that you’d like to reproduce in stunning quality, visit our online print shop or contact us to order. This heavyweight etching board is velvety smooth with a fine surface texture. German Etching is one of the most popular media worldwide for artwork and photography printing. Hahnemühle Bamboo is the world’s first FineArt inkjet paper made from 90% bamboo fibres, for a natural look and environmentally friendly paper production. The natural white, warm-toned bamboo paper does not contain optical brighteners, and stands out thanks to its soft, lightly textured felt structure and sensual feel. With an uneven surface typically found on watercolour papers used by artists, Artistic images can be best expressed on this paper and many professionals will appreciate this watercolour paper which feels like a real fine art cotton paper. Soft White Cotton has a “soft” slightly textured surface. It is made of 25% Cotton linters and 75% Alpha Cellulose. The surface has a special matte coating, designed for high quality fine art & photographic reproductions. Natural white in colour. To demonstrate the quality of our art and photography printing service, we are happy to provide you with sample prints. Purchase a sample pack for £6.00. In the pack, you’ll find a sample of all the paper in our fine art and photography range, plus we’ll give you your money back in the form of a £6.00 voucher to spend on your first order.